Note that this deletes it and “reverses” all the various things that happened when you created it. Items are back in inventory, charges are removed from sales and COGS accounts, and so forth. The only trace will be that the deletion will show in the audit trail. You can also select void invoice from the menus, which reverses all the transaction effects but leaves behind the voided invoice, so you have some record of what happened. Sindi: There isn’t a great answer for that. 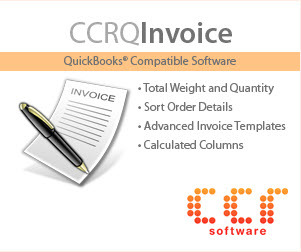 You can delete both the invoice and the sales order, and reenter them from scratch. I am trying to delete invoices “to be printed” under print forms however, I no longer need to print invoices from 2008 but don’t know how to get them off the list. Any advice? If it isn’t a lot of invoices, then open each one and un-check the “to be printed” box in the lower left corner, and save. If it is a lot, then just go ahead and print them – but print to a PDF driver rather than an actual printer. DO NOT use the QuickBooks PDF driver if you see it. If you don’t have Adobe Acrobat installed, you can get a free PDF driver like CutePDF. Then you print them all to a file, and throw the file away. How do we delete multiple invoices? Mark, you can only do them one by one. Or, there are some add-on products that may be able to help with this (but you have to purchase them). Clear Concise and to the point. Thank you fixed my challenge in 30 seconds. Did I just destroy our accountant’s books?! I created an invoice, but deleted it to add two more last-minute products that the customer wanted. No payments were ever attached to the invoice. Am I in the clear? I should have voided it, eh? Hi Bill. i have the same Problem now. what did you do to solve this issue. I need to delete invoices; but some have payments applied. The business reports on a cash basis and is not going to collect on the rest of the invoice. I have read the QB instructions but it is not really clear as to the effects of not having an invoice attached to the payment. Can you give me an idea of what needs to be done to correctly reduce the remaining amount on the invoice. Thanks. Why do you want to delete an invoice that has been paid? i input a customer that was not supposed to be invoiced and did the payment, will it okay to delete invoice and payment that has been process? Depending on how you processed the payment and will handle the refund, better to issue a credit memo/refund for this instead of deleting. Payment was cash and I process the payment in un deposit funds, I delete the invoice and the payment, please advice! If you have already deleted both, then no problem, it is as if they didn’t happen. Not a problem, really. I have an unpaid invoice because the customer (on terms) closed his business. If I delete it, the goods go back into inventory. If I do an inventory adjustment, it effects my figures tremendously. Thoughts? -Create an expense account in your GL for “bad debt” if you don’t already have one. -Go to the “receive payments” window, select the customer, select the invoice to highlight it. Click “discounts & credits” and select the bad debt account. Enter the amount of the bad debt in the Amount of Discount filed. save the transaction. I have multiple invoices from previous years that were created by mistake, the items were not billable items. Should I delete, void or memo credit to zero the balance? You need to talk to your accountant on this one – because those show as income in those previous years, so you have to deal with the tax implications for those years. Deleting or voiding them affects the income for those prior years, and A/R for the current year. Probably applying a credit memo is the way, but again, you need to talk to your accountant. What exactly did you do to “reverse” the invoice? Delete it? Mark it as void? What exactly? 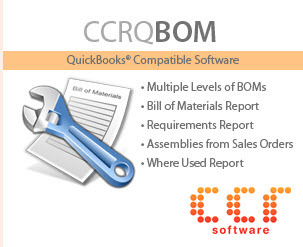 And what QuickBooks product are you using? I entered an invoice and put the dollar amount for the products and saved it. My boss told me to go back and zero out the amounts, because they are samples. I edited my invoice, changed the amounts to zero and saved. When I did a Profit and Loss, those original amounts are there, but when I click on the amount to open the invoice, it shows $0? Why does it still show the original amount, even though I fixed it to $0 and the invoice is showing $0. Should I void it and re-enter it? If you just changed the amounts in each detail line, it should show in all other reports. If you added an adjustment line to the invoice, that wouldn’t change how it shows. Look at the detailed P&L to see what it looks like there, and you can drill down on the detail line to see the individual transaction. “Cannot be deleted” isn’t very specific. Do you get an error message, a warning of some sort, or what? Please be more specific. 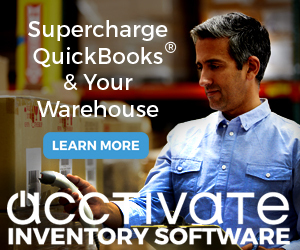 « FAQ:How Do I Get Those QuickBooks Warnings Back?